Michael Robert Sharp – Sharp & Cobos, L.L.P. Michael Sharp is Specialty Certified by the Texas Board of Legal Specialization in Administrative Law. He has represented clients before numerous federal and state agencies and has been listed in the peer publication “Best Lawyers in America” in the field of Healthcare continuously since 1991.Mr Sharp has annually been listed in Superlawyers in the field of Administrative law in the State of Texas. In addition to his experience as an assistant Judge Advocate General (JAG) in legal proceedings in prosecution and defense in the U.S. Air Force, Mr. Sharp served as Administrative Assistant, Legislative Assistant, and Personnel Director for then Texas Governor Dolph Briscoe, Director of the State Program on Drug Abuse, and General Counsel and chief of staff for the Texas Health Facilities Commission. Mr. Sharp has been in private practice in Administrative and Health law since 1976, representing clients in informal proceedings and formal proceedings involving Texas and Federal agencies. These cases include licensure defense, quality assurance, peer review, Medicare and Medicaid quality of care and fraud cases. In addition, Mr. Sharp has advised medical provider groups in business and risk management matters. Mr. Sharp is an advocate for health providers, both as to their regulatory burdens and their work environments. 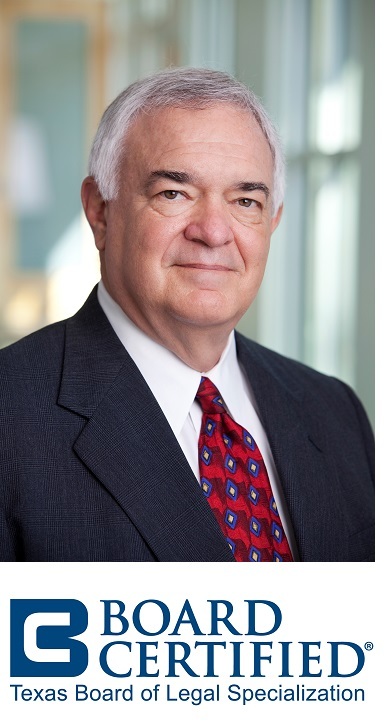 He currently serves on the Texas Medical Board’s Disciplinary Stakeholder Group, which reviews and provides feedback to the TMB as it develops and revises its disciplinary rules and policies. In addition to this extensive administrative experience listed above, Mike has also litigated administrative cases at the State Office of Administrative Hearings through full trial hearings as well as the SOAH mediation process. Selected by peers in The Best Lawyers in America (Health Care), 1991-present. Listed in “Superlawyers,” edition of Austin Magazine, since 2002. 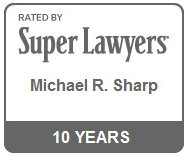 Listed in “Superlawyers,” Administrative Law, Texas Monthly for more than ten years. AV Preeminent rated by Martindale Hubbell for 29 years. Medicare Fraud: How to Recognize a Felony. Texas Health Law Reporter. March 13, 1986. Married to his college sweetheart for 45 years, and the father of three daughters and a growing number of grandchildren, Mr. Sharp “relaxes” by competing in cutting horse competitions and raising cattle. He is a member of the Texas and Southwest Cattle Raisers Association, the American Quarter Horse Association, and the National Ranch Cutting Horse Association.